Establish wellness—both at the student and institutional levels—as cornerstones of a healthy learning environment and school community. Promote individual wellness throughout the Hackley community. Mindful of connection between health and deep learning, Hackley will continue to promote wellness in all its dimensions: physical, emotional, cognitive, social, and spiritual. Throughout the athletics and academic programs, wellness competencies will be integrated to diminish unhealthy forms and causes of student stress and ensure the development of lifelong habits and understanding. Identify and promote wellness practices that enrich the teaching and learning environment. 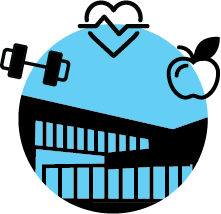 Identify opportunities to improve student and employee wellness as articulated by the community and highlighted in the Health and Wellness Audit. Reimagine the rhythm and use of time within the school day and academic year to optimize student and faculty learning. The academic schedule and calendar will be redesigned to better support the priorities of “Redefining Excellence,” including those approaches that require longer stretches of time. Build community through creative use of time outside of the classroom and the construction of meeting times and necessary physical space. Explore a unique learning period (e.g. expanded Ex Days, “J Term”) to support additional experience-based learning opportunities. Sustain the health of Hackley at the institutional level. Hackley’s culture and values, including the emphasis on a diverse and inclusive community, remain central to the mission and health of the school. Continued careful stewardship and analysis of existing resources, a focus on growing the endowment and moderating the expenses, and the development of a long-term tuition strategy will ensure Hackley has the necessary resources to successfully implement “Redefining Excellence” and strengthen school culture and the sense of community. Analyze school programs, services, physical plant, and organizational structure to ensure continued prudent financial management. Increase the endowment to protect Hackley’s competitive position. Develop long-term tuition model that supports full implementation of strategic initiatives and recognizes the centrality of socioeconomic diversity in Hackley’s culture. Execute “Redefining Excellence” with boldness, transparency, and with a focus on the student learning experience. Hackley will set concrete goals and measures of success for the plan and will regularly update the community on progress related to its implementation. Publish and promote “Redefining Excellence” to all Hackley constituencies and implement it with conviction and clarity. Set concrete goals and metrics for progress, prioritizing student, parent, and faculty feedback. Update “Redefining Excellence” annually and share progress with the community.